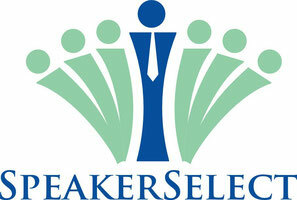 Eric Jager, SpeakerSelect managing principal, has over 20 years of experience in conference program design. His focus is on launching profitable new events as well as increasing revenue and client satisfaction for existing conferences. Industry experience includes finance, banking, telecommunications, advertising, traditional media, social media, entertainment, marketing, customer service, entertainment, technology and corporate diversity. Eric enjoys creating conferences of all shapes and sizes. SpeakerSelect conferences foster productive dialog among technical experts, business leaders and advocates with the ability to effect positive change within their spheres of influence and expertise. This conference for families, educators, employers and service providers focued on the practical information necessary to find or create employment opportunities for people with disabilities. The program included job training case studies, employer presentations, interview advice and information on supports and resources availabe in the state of New Jersey. Attendees had the opportunity to meet with local companies with an interest in hiring and training a diverse workforce. Hired by Australian publisher to produce the this event which attracted Chief Investment Officers from pension and sovereign wealth funds representing ten countries and over $3 trillion in global workers' capital. The interactive symposium addressed mega-trends in global investing and the bottom-line impact of Environmental, Social and Governance (ESG) investments. As the parent of a non-verbal child with autism, Eric became frustrated by the conflicting and misleading information he was receiving regarding the use of augmentative and alternative communication (AAC)tools and techniques. The conference brought together some real experts from Disability Rights New Jersey, The Boggs Center for Developmental Disabilities and the major AAC vendors and offered technology demonstrations by Advancing Opportunities for the parents and professionals in attendance. Hired to manage the content and speaker selection for this MarketingSherpa signature event and all other events for the 18-month period following the sale of MarketingSherpa and the exit of Sherpa's founder and previous content director. This conference, which kicked off Advertising Week in New York included presentations from leading brand marketers, agencies and publishers. The conference keynote took the form of a candid conversation between Charlie Rose and Viacom's Tom Freston on the opportunities for content providers and advertisers in the early stages of the multi-platform media era. Deadline-driven market research, program development, speaker recruitment, copywriting, sponsorship sales support and marketing messages.